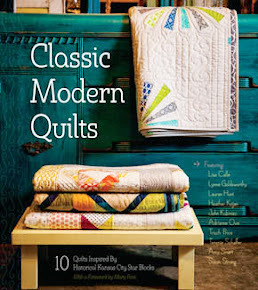 Next week is the official kick-off for the new book, Classic Modern Quilts. Ten modern quilters (including yours truly) were asked to design quilts inspired by historical Kansas City Star quilt blocks. 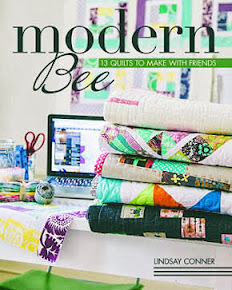 The result is this inspiring book with quilt patterns ranging from a little bit modern to very modern. 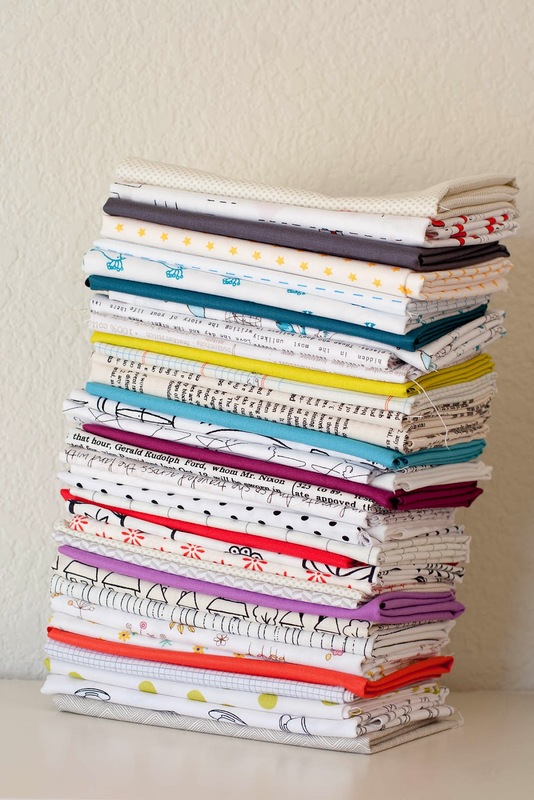 My quilt falls in the middle of that range with a modern graphic design and a touch of vintage charm. 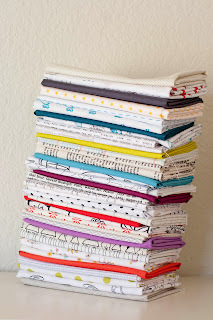 Come back and join me on Monday, November 18th and I will show you what I made using this gorgeous stack of fabrics. Low volume and brights? Oh, yes I did! !